As you look at the current Social Media frontier in the latter part of 2009, it is clear that there are two particular channels that have become “shining stars” among the business community. Fan Pages facilitate greater interaction with a target audience. Fan Pages are very SEO friendly and well indexed in Google. Fan Pages allow you to build and connect with an unlimited fan base. Facebook Applications enable you to now create visually appealing FB landing pages. Fan Pages are a powerful viral marketing tool. As users interact with your page, this shifts to their walls and news feeds leading to increased exposure! 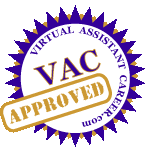 Our colleagues at the training center, VAClassroom seem to have the knack for creating training programs just at the right time when the market demand is on the rise. Businesses are ultra motivated to create compelling Facebook Fanpages, but either lack the time or expertise to pull it off. VAClassroom has recently launched a new two-week mini-course called: ‘Fantastic Facebook Fanpages”. Practical tips for building a targeted email list with your fan page. Registration is officially now open for this new mini-course starting on October 19th! Just click on the link here -> to learn how to create a Facebook fan page to grab your seat today! I am looking forward to this course. 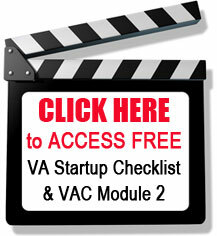 VAclassroom has some of the best training (and retraining) programs around. I’ve also met a lot of fellow VA’s that I’ve been able to retain friendships and contact with. See you there! Don’t miss out! Contest > Time to TOOT! 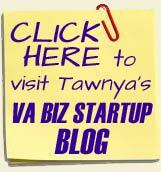 Want a FREE Consult with Tawnya? Copyright © 2003-Current. Mediamage Business Solutions.